This school has achieved two Green Flag Eco Schools Awards and has an active eco group. The Eco-Schools programme is an international initiative that encourages pupils to engage with environmental and sustainable development issues. It provides a highly structured system for the environmental management of schools. The programme is a learning resource and topic areas include Litter, Waste Minimisation, Transport, Healthy Living, Energy, Water, School Grounds and Global Citizenship. The first two levels of the Eco-Schools award are the Bronze and Silver certificates. The top level of award is the Eco-Schools Green Flag. Pupils take key roles in decision making and participation in order to reduce the environmental impact of their school. In this way, Eco-Schools extends learning beyond the classroom and develops responsible citizenship attitudes both at home and in the wider community. The Eco-Schools International Green Flag, awarded to schools with high achievement in their programme, is a recognised and respected eco-label for performance in Education for Sustainable Development. 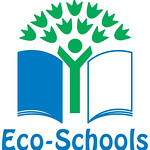 The Eco-Schools programme is a long-term activity, with the award being re-assessed and renewed every two years.